Discover the secrets of the Italian countryside on bicycle, foot or horseback. Get close up and personal on ancient lands dotted with walled medieval villages, wineries, and thermal spas. Fertile plains of orchards and vineyards blend smoothly among the rolling hills of the Padova countryside, providing a wealth of paths that intermingle throughout the Regional park of the Euganean Hills. The series of 81 extinct volcanoes clustered together have created a paradise of thermal waters and mild weather that have attracted populations here since ancient times. Located just south of Padova, the abundant natural beauty plays a major theme. Pass through walled cities that date back to the 1100’s. Among them are the villages of Este, where the great dynasty of the Estense family ruled and built a wealth of historical villas, and Montagnana, encircled by a 6,500 ft. wall built during the middle ages, with 24 exquisite towers that rise as high as 62 ft. tall. 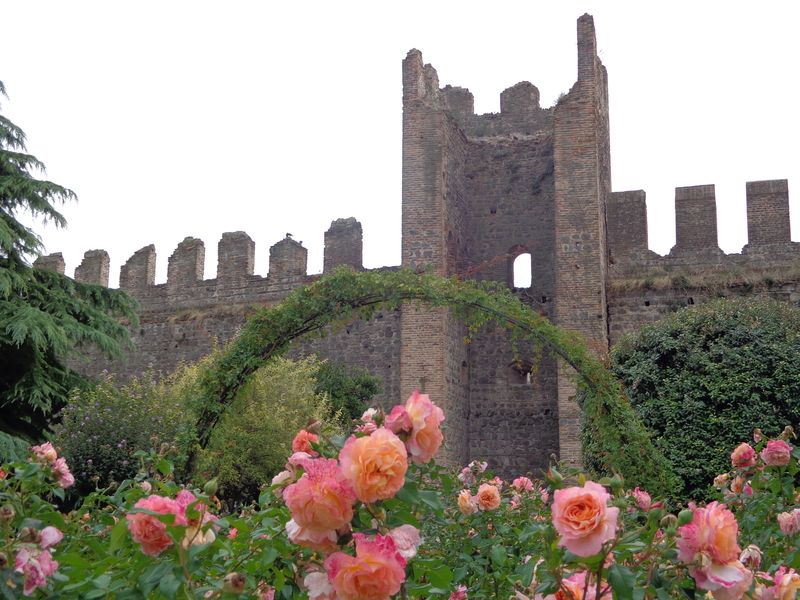 Stroll through mystic castle gardens with climbing roses and fabled statues entwined in greenery. Take a bench seat and imagine the troubadours of the Renaissance saunter through the gardens as they compose their melodies. The famed poet Francesco Petrarch lived an inspired life on his winery in Arqua Petrarca, a village named after him, during the 1300’s. He often sailed the waterways on his boat to Padova, writing his poems as he experienced the countryside. 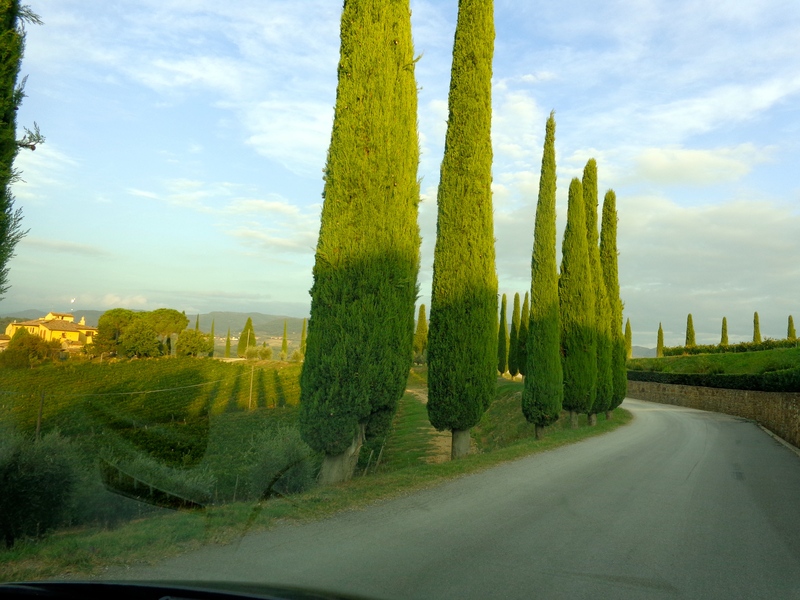 “A pleasant place in the Euganean Hills, in a delightful and healthy position,” he wrote. His house, now a museum, sits just above the village. Inside, the medieval interior is decorated with scenes of Petrarch’s work. In a corner is his study, where he died in front of an open manuscript at age 70. His embellished tomb can be seen in front of the church in the main square of town. As you familiarize yourself with Arqua, notice the wild pomegranate and jujube trees. The olive-like jujube’s, called giuggioli, taste much like un-ripe granny smiths. The fruit is made into a tasty liquor in the Enotecca II Giuggiolo (mostly in Italian, but nice photos). 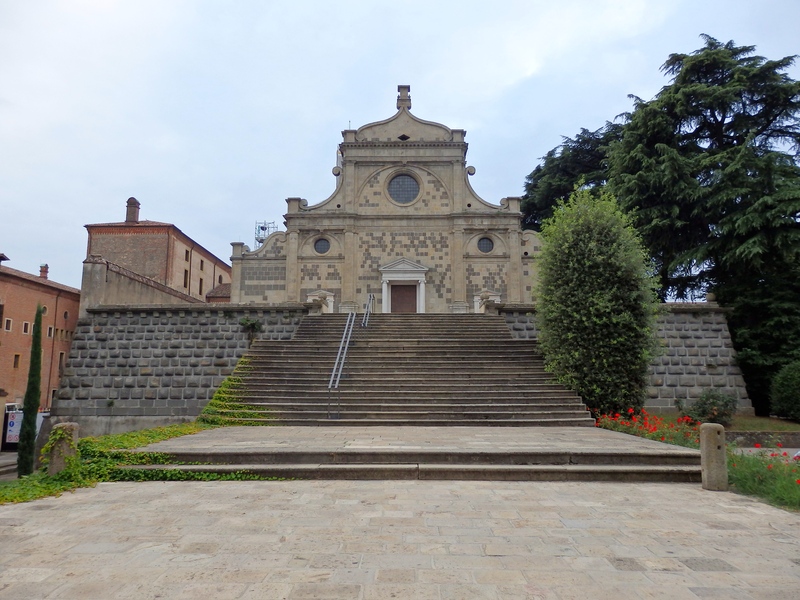 Nestled in the nearby town of Teolo is the charming old Benedictine Abbey of Praglia. These impressive monks cultivate a vineyard and honeybees as well as vegetables and herb gardens. Inside the monastery shop are rows of delicious wines made from the harvested grapes. The herbs are used as ingredients for secret recipes handed down among the monks since the medieval ages to create medicinal elixirs that effectively cure indigestion. I found this to be true after indulging in too much rich Italian antipasti one evening. Local wineries are numerous and produce thirteen varieties of wine granted the D.O.C. entitlement. Among them are the bold red wines Cabernet Franc and Sauvignon, the white Chardonnay, and the sparkling wines Serprino and Moscato Fior d’Arancio. 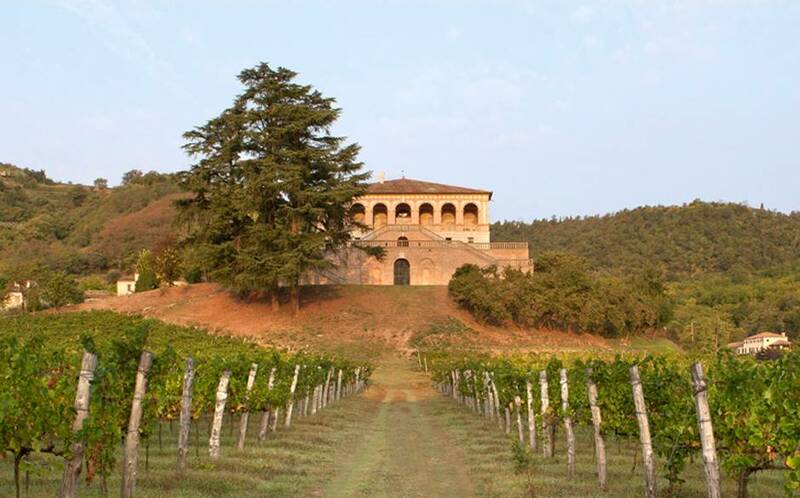 Take a look at this website, Walking and Cycling the Wine Roads of the Euganean Hills. The presence of hot springs in the Euganean Hills have produce famous spas throughout the area that offer aesthetic and therapeutic treatments. The Regional Park of the Euganean Hills has much to offer and a wealth of history, wineries, and many natural country paths to walk. You are wonderful ! Bellissime foto , descritte in maniera egregia. Brava !!! Grazie mille, Mirella! il mio piacere. Hi Susan, your photos are fabulous. And, yes, this is how I prefer to spend my time in Italy rather than being in the big cities. If you have the time, this is the only way to really live and experience the Italian way of life. Lyn, thank you. I totally agree. I shy away from the tourist spots and love to hit the backroads! You have taken me to an area of Italy I have yet to visit and now must go! Lovely photos and descriptions! Beautiful post! Getting out and exploring Italy on foot or on bici doesn’t compare! Isn’t that the truth? Thank you Susan!